Jellymedia • CASE STUDY: FACEIT – ECS SEASON 6. FACEIT is the leading independent competitive gaming platform for online multiplayer PvP gamers with more than eight million users and a total of twelve million online gaming sessions each month. With minimal turnaround time, we managed to create and publish newly designed assets that matched the clients brief and engaged our audience to generate excitement for the upcoming season. The Jellymedia inhouse design team ensured the work we created was unique and would have the desired impact on our target audience. New designs ranged from advertisements for ECS branded merchandise and ticket sales ads to match specific ‘versus’ posters, as well as anything else that was required. For the Grand Finals in Texas, FACEIT provided us with a separate design brief to match their True Detective themed event. This was once again researched, designed and executed with social content in mind. We used this content to plan various social competitions around. 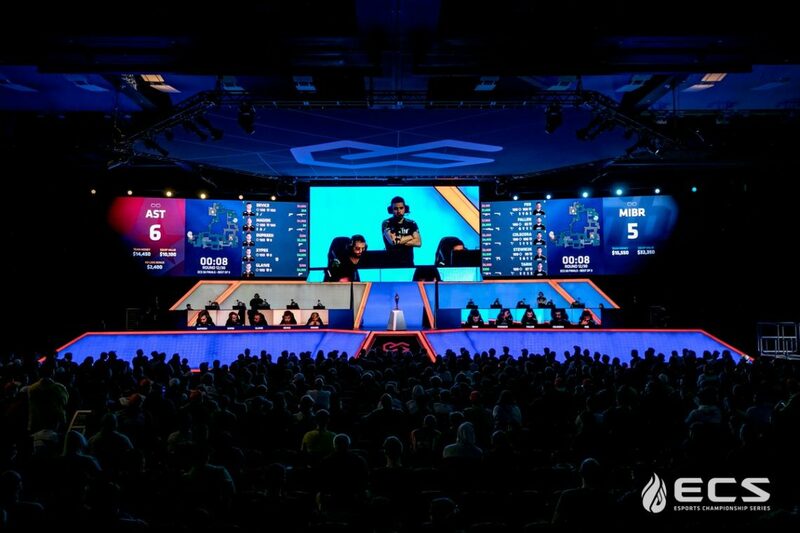 The ECS Season 6 event took place October 3rd – November 25th 2018. The majority of the competitive games were played online and Jellymedia managed the social channels, providing full live coverage for the season (over 350 hours). During live coverage days, we clipped action directly from the RTMP feed provided by the FACEIT production team. The clips were then uploaded and processed in 1080p HD and quality and engaging copy was created to accompany the videos within seconds of the action happening. During the live coverage, we would have a constant communication channel open with FACEIT to ensure that any feedback the client may have had could be heard and actioned immediately. One key factor about live esports coverage is that things can happen and change within minutes. Jellymedia has the relevant esports and gaming knowledge to understand the context of these changes and is able to create content based around them that fans would understand, enjoy and engage with. As a team we developed new assets and ideas that directly led to increases in web traffic and ticket sales. We also delivered highly effective sponsored posts for key sponsors, generating considerable income. This all drove towards us reaching the highest viewed finals in ECS history (YouTube), and the strongest analytical social media day in ECS’ history. All of this social engagement and reach also led to a sold-out stadium event for the ECS Season 6 Grand Finals. Jellymedia had the task of planning, creating assets and delivering live social content for a tournament watched by hundreds of thousands around the world. We worked on extremely short deadlines throughout the process, and not only hit our targets and KPIs, but exceeded them. We utilised all of our expertise and resources to pull together and provide an excellent service for the client.